Calvinism is a logical theological system; on this, 5-point Calvinists and I agree. If you subscribe to one point of Calvinism, say, the unconditional eternal security of the believer (that we’re saved and going to Heaven anyhow, with no regard to lifestyle and godly living), then you might as well subscribe to the other four points of Calvinism as well (such as “Limited Atonement,” the concept that says Jesus only died for some of the world, not all people in the world). Each point leads to the next, and embracing one logically entails embracing all five points of John Calvin. I believe Calvinism to be unbiblical, but logical. Man’s logic, even when it lines up, can be wrong, and I believe Calvinism to be a good example of unbiblical logic. Regardless of just how much some students of Scripture warn others of the dangers of Calvinism, you need not look far to see Calvinists emerging from the woodwork. They are everywhere. It is in this atmosphere that I want to give encouragement to students of Scripture who are convinced Calvinism is not true. With this encouragement, let’s examine two passages of Scripture that you can use to “put Calvinism into flight,” as I say. The text refers to the will of God (Greek, τὴν βουλὴν τοῦ θεοῦ), and that the Pharisees and lawyers “rejected” the will of God. Now, I don’t know what you’re thinking, but I’m thinking that, if God’s will can’t be rejected, then how do the Pharisees and lawyers get away with rejecting the will of God “for themselves”? The key phrase here is “for themselves.” In other words, God desires that even the Pharisees and lawyers get saved — though they don’t. 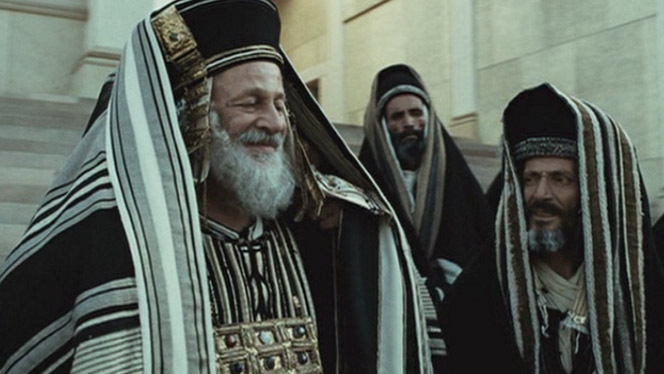 Sure, there’s Nicodemus, who comes to Jesus by night, but more Pharisees rejected the word of God and Jesus than accepted both the Word and Jesus. Jesus is telling the Pharisees here in John 5 that they are the reason why they’re not saved. They are the ones that don’t believe His message. Even John the Baptist, not to mention the Father and the Scriptures, all bear testimony to who He is. And yet, the Pharisees refuse to yield their stubborn wills. “I say these things that you may be saved,” Jesus says in John 5:34. Now, if Jesus wasn’t interested in saving the Pharisees, as some claim, then what do we make of John 5:34? Is it just mere hyperbole? A statement made to “bait” the Pharisees? Conspiracy theories look good in the world we live in, but I highly doubt the Bible endorses conspiracy theories when it comes to our Lord and Savior. In John 5:40, we read one of the most genuine statements of Jesus and the Pharisees in all of Scripture: “You are not willing to come to Me that you may have life.” Who was to blame for the Pharisees’ hard-heartedness? As I said in our work on John 6 (see here and here) that Calvinism is not taught in the chapter, that Calvinists are reading something into the text that isn’t there. Well, if you read the above excerpt from John 5, you discover a great reason why John 6 doesn’t teach Calvinism: if the Lord only chooses certain people, and if He only draws certain people (as Calvinism claims), then how could He indict the Pharisees for not being willing to come to Him? In such a scenario, the Pharisees would not come to Jesus because He wouldn’t will them to be saved. What need would there be for Jesus to indict their hard-heartedness if they could only be saved by His will (and He hadn’t willed their salvation)? This is where the logic of Calvinism truly falls apart. We either believe Jesus’ words in John 5:40 and John 6, and take John 5:40 into account in our interpretation, or abandon John 5:40 and uphold a Calvinist approach to John 6. I know the choice between these two options I’ll make. These two passages on Calvinism show us that God wills the salvation of all men, even the unbelieving Pharisees, but their stubbornness is the thing that stands in their way. They refuse to come to Jesus, refuse to believe in Him, though the Scriptures, Moses, God the Father, and John the Baptist all point to Him. The evidence is there, staring them in the face, but they refuse to see it because of their hard-heartedness. They are the reason why they’re not saved, not Jesus or God the Father. What about you? Have you ever read Luke 7 and John 5 before? If so, what do you think of these passages? Do they put Calvinism into flight? Was this post a blessing to you? If so, feel free to contact us via the Contact page on the main menu and let us know. God bless.